As a busy young professional it’s kind of hard to cook balanced meals at appropriate times and work long hours perfecting your craft. 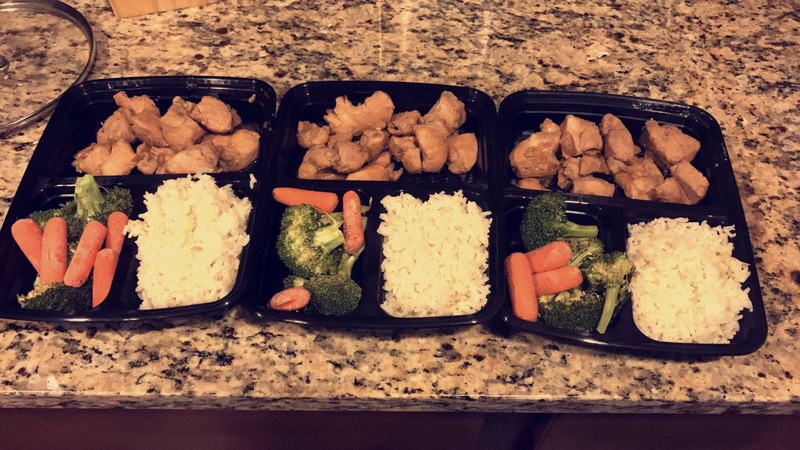 So this week I decided to take a stab at meal prepping. I’ve always been interested but have never tried. To start, I prepped breakfast, lunch and dinner. For breakfast, I prepped a week’s worth of breakfast sandwiches. I used a muffin tin to bake 5 eggs , and I baked 5 slices of Canadian bacon. I then assembled cheese,egg and canadian bacon on an English muffin. I wrapped each sandwich individually in plastic wrap and placed them in the freezer. For lunch, I made chicken teriyaki, roasted vegetables, and rice. I purchased the food containers from Groupon specifically designed for meal prep.